Beach time, bar hopping, walking tours…then the rain came down. Still, a great time! We planned a great three-day weekend getaway in Charleston, including beach time, bar hopping, walking tours, etc. Tropical depression literally descends! 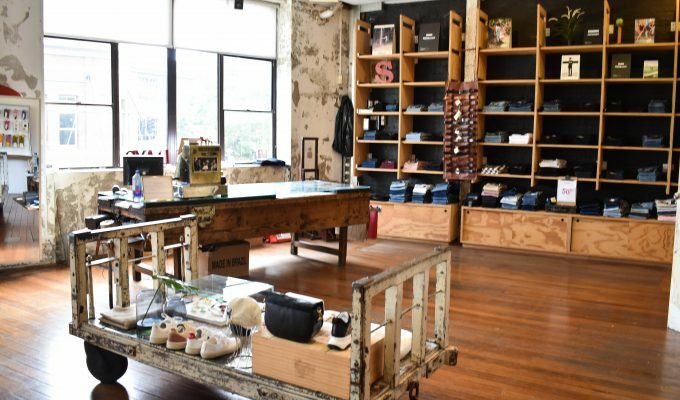 We seem to be having that kind of luck lately, check out my latest article on New Orleans to see what I mean. First, we are in denial and ignore the rain. Charleston is famous for rooftop bars, so we start Friday night checking out some of the rooftop bars in the city. We hit Pavilion and Vendue, which look amazing even in the rain, as they are located in a beautiful setting surrounded by amazing views all around. We will have to come back in better weather some day. Anyway, much like anti-vaxxers, we come to our senses and look for a roof, so we end up at Pearlz Oyster Bar. It’s a jumpin’ long bar with men and women in traditional white button down raw bar type jackets. The happy hour menu and cocktails are spectacularly delicious! The tuna Tartare and Oysters Rockefeller is truly a work of art. On our way out, we hear people talk about an oyster shooter to die for, but time to go, so we go without. We had dinner is at Slightly North of Broad Street, which people affectionately refer to as SNOB. The other side of the street is known as South of Broad, so apparently you are either a SNOB or a S.O.B. Anyway they have been voted best shrimp and grits in Charleston and we certainly agree, although the fried green tomatoes were a close second. 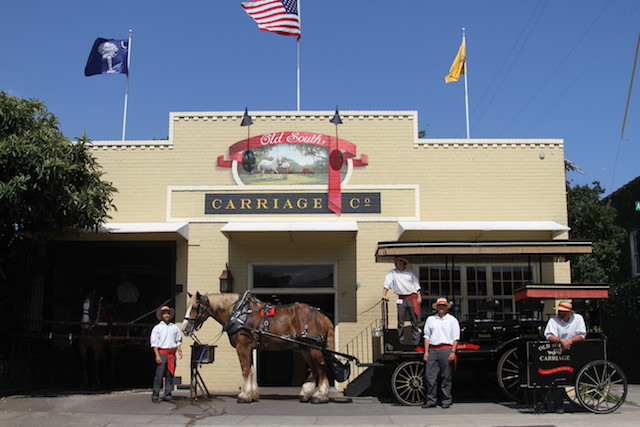 On Saturday morning we arrange a covered carriage ride with Old South Carriage Company. Our horse, Max, is slow and flatulent. Luckily, we were far enough back, but you certainly could hear it loud and often! Despite that, it really is a must do to get the lay of the land and a bit of history while being shielded from the weather in old world transport. Apparently, anyone with money left Charleston after the Revolutionary War, and left again after the Civil War, so there was never any money to tear down and rebuild the city, so the old charming buildings are still there! The city features beautiful architecture, shutters, decorative non-functional doors that lead to long open-air porches, flags, historical designations, and so much more. We hit Amen (always trust a fish place that doesn’t have a freezer!) for amazing Cajun peel, shrimp and black drum (a gulf fish, which is our new favorite!). Then the rain really came down. Our slavery/secession walking tour was canceled, so we start my birthday bar crawl prior to dinner a little earlier than planned. First we hit Pearlz (again) for an oyster shooter. It lived up to expectation! Then on to the Gin Joint to try the “Bartender’s Choice,” which is literally choosing two descriptors from a list, like sweet, savory, refreshing, and so on, and then voila! I literally had the best oysters I have ever had in my life! It was served with jalapeno mignonette and in a Laphroaig brine (yes that Scotch! ), and Bulls Bay smoked salt. Ridiculous. They even have the mythical $1,200 copper contraption that without power or mechanical aid creates a perfect ice sphere from a 2” x 2” cube. Don’t forget to try the jerky, which is closer to a brisket if you ask me. The bartenders there were amazing and friendly, so we enjoyed the banter for a while, and at their recommendation we head off to McCrady’s for the next cocktail. Just like every other spot we hit up, we met amazing tourists and locals. The woman next to us is moving to Charleston from Phoenix. Jealous! We trade war stories about the Blue Martini Lounge, but that’s a story for another day. Anyway, we enjoy some more excellent cocktails at this classic Mad Men era-type of bar and figure out where to go next. My wife wants to go back and visit Charlestowne Tobacco and Wine because the guy was so nice to offer us coffee in the morning before our tour when no other place else was open. I reluctantly agree, as the place seems like a cigar shop more than a wine bar. We get a cigar and a couple glasses of Tempranillo and meet a few couples from various places, some on a honeymoon, all of us very excited about our upcoming dinner reservations. The rain continues so we figure out more indoor activities, like Sunday brunch at High Cotton. Sit in the bar area close to the jazz band and get transported back to the 1920’s like you’re a mob king pin from Chicago! We then take our rental car out to Folly Beach just to check out the town. Typical (in a good way) east coast beach town with surf shops, ice cream parlors, dive bars and seafood restaurants, a pier, kids working summer jobs, and plenty of people at the beach not caring that it’s raining because it is still warm and beggars can’t be choosers after a long winter. Surf Bar is a cool dive bar and Blu is right on the beach, so take your pick. Or feel free to try both like I did! 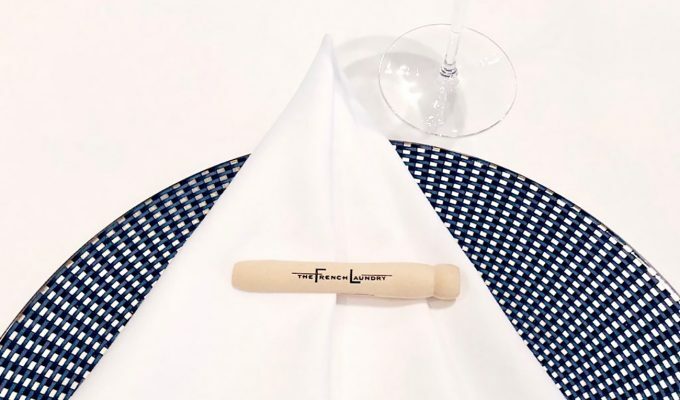 On the way, whether you’re heading into or away from Folly beach, make sure you hit iconic Bowen’s Island to shuck the freshest plates of oysters around. From there we are off to the King Street area for another bar crawl prior to dinner. This is the more younger, hipper, modern area of town. We hit Macintosh first as we hear it has a good “scene.” I order Jeremiah’s Dirty Little Secret that comes with (wait for it, wait for it) bacon-pimiento cheese stuffed olives! We meet another couple at the bar from New Jersey who came last year and are already back. Also, this town is bachelorette party central and this bar is apparently the headquarters. Miracles of miracles, while we are there the heavens cleared up and the sun is out, and it is glorious! So we hit the closest rooftop bar we can find, Stars. It has a very young crowd, we see some people above 25 and pounce, and some Aussie couples in there 50’s on a five-week walkabout to have drinks with and shoot the breeze, wahoo! Then we’re off to The Grocery for dinner. The restaurant is simply beautiful and everything there is super creative and fresh. The standout is Pig Lo Mein, which is like the Chinese noodle dish, except the noodles are replaced with pig’s skin! But, trust me, most other dishes at this restaurant are much lighter. It’s hands down the best meal in town, which could compete with any food mecca in the world! We spur of the moment book a 9:30 p.m. ghost tour with Old Charleston Pleasing Terror walking tour. They do a great job blending facts with “stories” to end up with historical fiction, such as the likes of Edgar Allen Poe, Annabelle Lee, the overgrown and very creepy Unitarian Church graveyard, and even Poogan’s Porch. Monday ressie snafu (don’t ask), so no Husk for their famous burger, but we do get to go next door to Poogan’s Porch to check out the haunting. On the way next door I heard my wife calling my name four times, but she was nowhere to be found. When I finally find her at the bar with our two spots, it is clear she was been there the whole time. I ask the bartender about the rumors, he says, “Old houses make noises…” Creepy! Well, it’s time to blow this popsicle stand, but as you’ve read, creative and mind blowing restaurants and cocktail bars are always good rain or shine! Fly into/out of Charlotte for cheaper more direct flights. Hotels are very expensive. Luckily we stayed with friends at Daniel island (Thank you Stanley and Nicole!). Make sure to find a hotel within your budget and Uber if money is no object. Though it’s not a hotel, this salon/spa is simply amazing, and I cannot recommend Bohemia Salon & Spa enough! Have you ever been to Charleston? Share you experience with us in the comments below. Jason loves beaches, sailing, diving & trying new foods. His travel style is about staying central & close to the action. His favorite country is Mexico & he never travels without his Tumi roller.